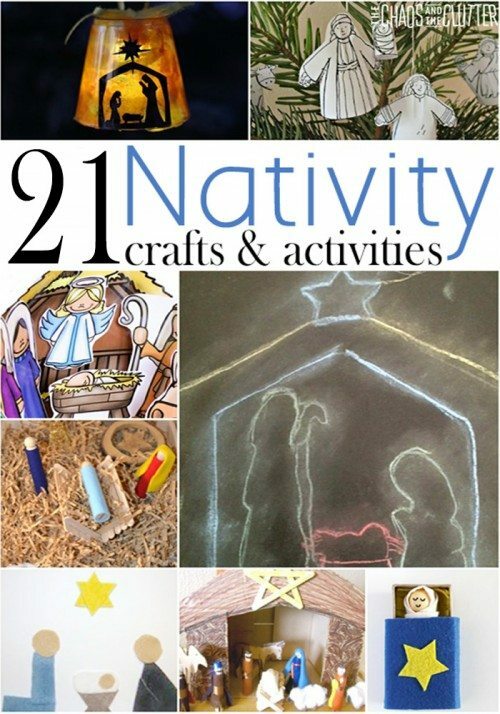 This Christmas craft can be adapted for kids of all ages. 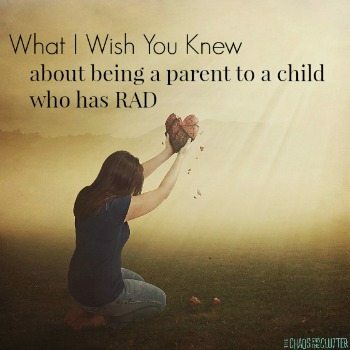 The kids and I have been doing all kinds of holiday projects the past two weeks but I really wanted to think of one we could do that would bring us back to focusing on the reason there is a Christmas in the first place. 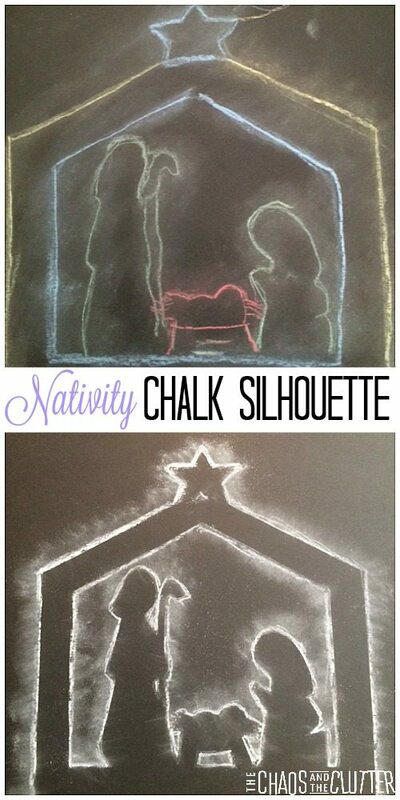 We created this nativity chalk silhouette craft. The process was simple but it lent itself to all kinds of variations. 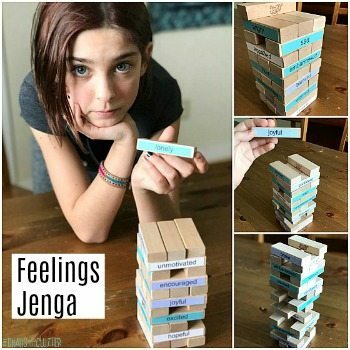 I love projects that let the kids explore their creativity and put their own spin on things. I set out both white and coloured chalks for this purpose. I didn’t see any point at reinventing the wheel (and my artist skills are lacking!) 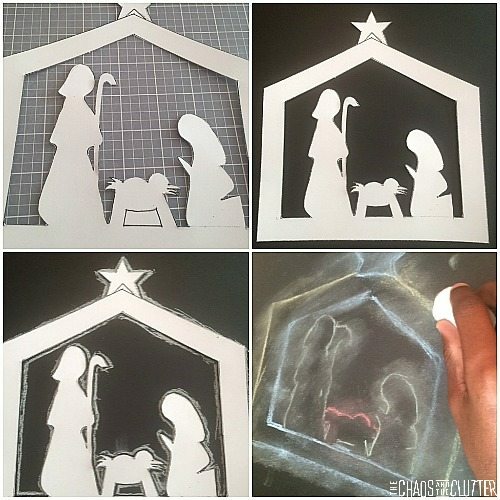 so I found a great nativity silhouette that is free to print at Meaningful Mama. While you’re over there, you can also look at the gorgeous stained glass craft she made with the same silhouette and maybe you can make both. Print the nativity silhouette on card stock. Cut it out. I used scissors for most of this step but did use a blade (an exacto knife would be best) for the small cutouts. Place the silhouette on the black paper and hold in place with one hand while outlining it with chalk with the other hand. 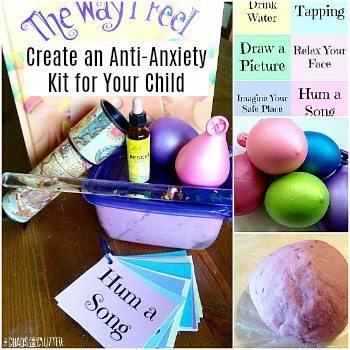 Continue to hold the silhouette in place and use a cotton ball to spread out the chalk. If you want to seal the picture, place it on newsprint and spray it with sealant. I enjoyed watching the kids put their own interpretations on this craft. Some wanted to outline it all in white while others chose for the star to be outlined in yellow and others chose to use many colours. A few of the kids wanted to continue to spread the chalk after they removed the outline and made the colours spread quite far on their page while others preferred to have more of the original outline showing. Regardless of which style they chose, all of them were absolutely beautiful! One of the kids wrote the word “Jesus” in chalk to his and added some embellishments to the star. I had to cut those out in the pictures because in them he had also written his full name. My kids of course don’t sign their artwork with their blog pseudonyms! 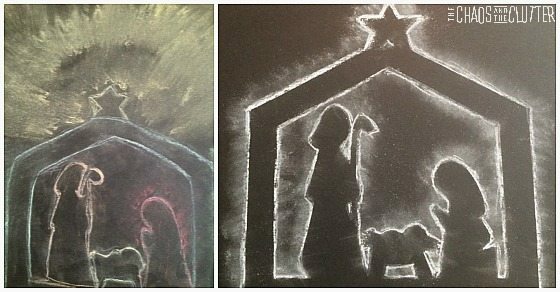 I hope that you will enjoy making this Christmas Nativity Chalk Silhouette as much as we did!